Wow that looks like a lot of fun. What information did you learn about the plants you planted? Good job, what are you growing? Did you have fun? Did you know that room three are growing snow beans outside our classroom. I enjoyed watering the plants the most because it got me all wet. What type of plant(s) did you guys grow? Did you guys get really dirty? congratulations rm 15! Well done. Was it exciting? WOW Bodhi and Leora You look amazing in the news paper!! Amazing job on the Edible Garden! great job room 15 really nice planting was it hard? WOW Bodhi and leora your lucky because your in the Howick and Pakuranga times. Room 15 did you enjoy planting new plants in the new planter boxes because I did? 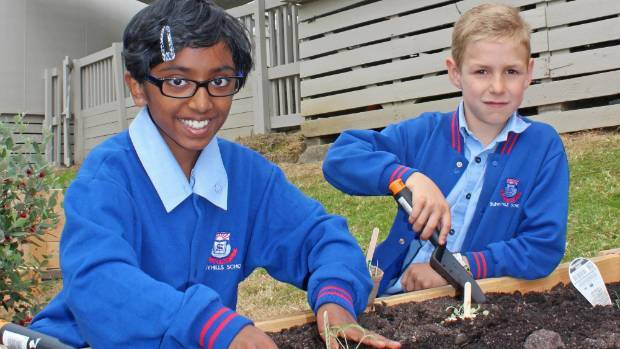 I loved planting all the new plants it was awesome lucky to bodhi and leora to be on the newpaper.